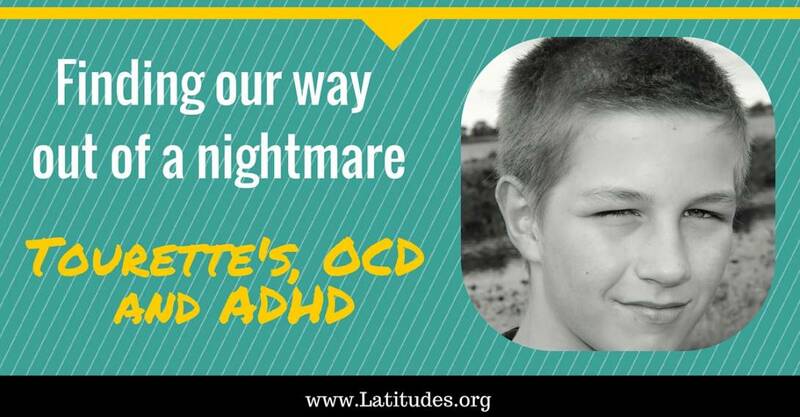 Editor: We are reprinting one of our popular posts about a teenager who had a frightening experience while taking conventional medications for his Tourette’s, OCD, and ADHD—and how the parents intervened successfully with a natural approach. 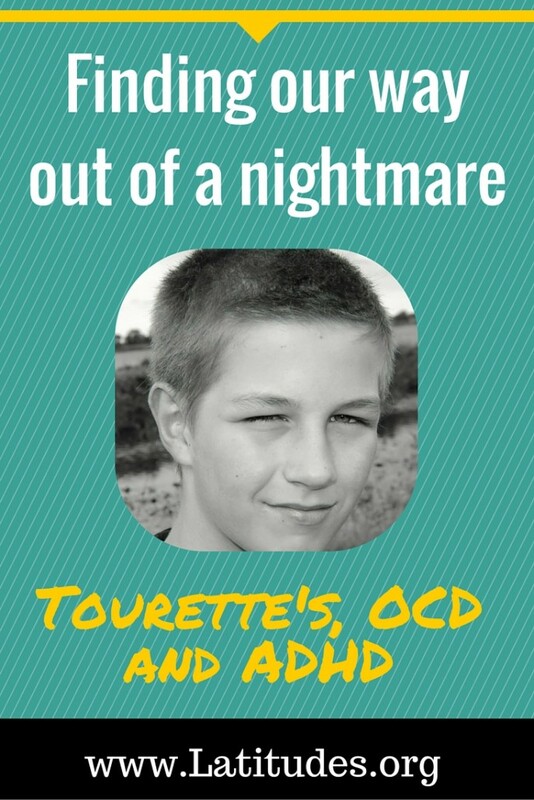 My 14-year-old son Andy was diagnosed with Tourette syndrome, ADHD, and obsessive compulsive disorder at the age of seven. 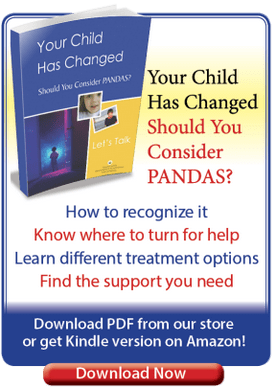 In this article I would like to share our experience of the nightmare we went through with his medications, and the positive effects he has experienced from dietary interventions. We are so grateful, and hope other families find this helpful. We live in Illinois. Our fight for answers began when we took Andy to see a doctor on the advice of his kindergarten teacher. She was concerned he may have ADHD. At that time, Andy’s mannerisms (which we later discovered were tics) included jerking arms, twitching fingers, eye-blinking, and rolling his eyes and holding them in odd positions. At first I thought he was having seizures. He would rub his chin on his shoulder repeatedly, and rub his nose with the palm of his hand over and over. We were concerned, but did not know what to make of these movements. His doctor suggested Andy had allergies and he did not believe he had ADHD. Other tics that evolved in cycles were licking his palms, heavy breathing through his mouth and/or nose, grunting, and clearing his throat. As time progressed and Andy’s symptoms did not decrease, we finally consulted another family practitioner; Andy was in the first grade. He referred us to a neurologist, and our son received the diagnoses of Tourette syndrome, ADHD, and obsessive compulsive disorder. Prescription medication began, and over a period of five or six years, several drugs were tried in an attempt to control symptoms. His medications have been many, and they changed often. At various times they have included Clonidine to help with the ADHD and reduce tics; Depakote and Haldol also to help reduce tics; Focalin XR for ADHD; Strattera for ADHD; and finally Adderall. While on medication. . . Andy was often depressed and would isolate himself from others. He had a negative attitude in general, and at times had suicidal thoughts, such as “I hate my life,” or “I wish I was dead.” This naturally affected his relationships with his siblings and the whole family. When our neurologist moved we found another doctor. He prescribed Adderall (a stimulant medication for ADHD) in addition to the Clonidine medication for tic control that Andy was on at the time. The instructions were to take the Adderall in the morning and the Clonidine at night. About 15 months ago, Andy accidentally ingested too much Adderall by taking it in place of the Clonidine. This resulted in a long sleepless night and a full day at the emergency room the next day. He was hallucinating, claiming he saw lizards in the bathroom and monsters under his bed. The morning of the incident he was certain a group of hunters had kidnapped his older brother and he could see them in our back field. He even let our dog — who is never allowed out of her pen — loose, thinking that she would help protect not him and his brother. He placed a call to 911, and emergency personnel responded to his worried call. When we arrived at the emergency room, his heart rate was erratic and his blood pressure was elevated. The ER doctor wanted to diagnose him as schizophrenic and suggested he be institutionalized! We were frantic. Thankfully, we were able to prove to the staff that the episode was due to the accidental dose. However, my husband Rodney and I made a vow that Andy would never be on meds like these again. From that moment on, I researched alternative methods. I write for a local paper and I recalled doing a story on a mother and father who are raising an autistic son. They were using gluten- and casein-free diets as an alternative method to help him. At the time, I hadn’t made the connection that a change in diet might help my own son. After the accidental overdose, I revisited that story and applied what I had learned from those parents. spelt, which he seems to be able to tolerate. We experimented with avoiding casein (in milk products) but have found that dairy does not seem to be an issue for him. His diet consists of all natural or organic ingredients, without added chemicals or artificial colors/ flavors. I use stevia or other natural sweeteners for his desserts or other food and drink items when sugar is called for. Basically, it’s like making everything homemade with homegrown-quality ingredients, just as people would have done before the industrial revolution resulted in chemicals being used in the growing and processing of our foods. My husband has been a wonderful supporter, and is directly involved in the care of Andy. Andy has made remarkable improvements and we no longer see the same severity of tics we dealt with before. Minor tic symptoms surface at times and are usually noticeable when he may be stressed or overly excited about something. But he’s having fun this year. Since we’ve changed his diet, he now has a more positive attitude, jokes around, and has a better relationship with his older brothers. He is also more active in school activities. Last year, the first full year since we began changing his diet, Andy was on the honor roll for three out of four quarters — a first for him. While he still has some issues, I cannot dispute the fact that his diet has helped to create this change. Andy has come a long way and we are looking forward to learning of additional interventions we can try. We see our personal physician for updates and checkups regarding Andy and he encourages us to continue what we’ve been doing. In fact, last month I took Andy in for a sports physical for school and gave Dr. Neal an update on Andy. His response was, “Sounds like you’ve got a normal kid here.” I almost cried right then and there. An overdose of Adderall can be fatal. Overdose symptoms may include restlessness, tremor, muscle twitches, rapid breathing, confusion, hallucinations, panic, aggressiveness, unexplained muscle pain or tenderness, muscle weakness, fever or flu symptoms, and dark colored urine. These symptoms may be followed by depression and tiredness. Other overdose symptoms include nausea, vomiting, diarrhea, stomach pain, uneven heartbeats, feeling light-headed, fainting, seizure (convulsions), or coma. My son, who is 10, was never formally diagnosed with tourettes or ADHD, but over the course of several years he would show signs of different twitches that would go away after several weeks or months. I could never get a straight answer from any physicians that we saw over a year or so, until I took him to a children’s neurologist. He prescribed some drug since my son was jerking his shoulders which had been his most severe twitch so far. The medication made him drowsy and depressed. I discontinued it after a week. My husband and I did a lot of research. What finally worked with my son was Chinese Herbal supplements. We have been seeing a Chinese herbalist (he is also an MD) for over a year. The effects are amazing. The twitches are 90% gone, also are the nightmares, difficulty concentrating and other related problems he had been troubled with. We live in western suburbs of Chicago and the clinic is in Westmonte, IL. Diana, thank you for your input on treating your son’s twitches and jerking with Chinese herbal medicine. 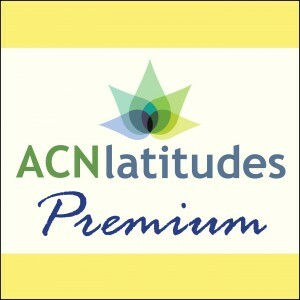 It is great that the approach has helped his nightmares along with the tics and concentration problems. Would you like to provide the name of the clinic in Westmonte? Did the doctor recommend changes in lifestyle or diet in addition to supplements? We appreciate your input. I live in Illinois too. Would you be able to provide the name of your Chinese Medicine practitioner in Westmont? So good to hear others have had success with Tourette’s and diet. My son is 11. Towards the middle of his 4th grade year, we started to notice vocal and verbal tics (clearing this throat, scrunching his nose, saying “mmhum”). He would say stuff like, “Mom if I nod my head this way, I feel like I have to go the opposite way to even it out.” He has never even heard the term OCD. And of course he is on an IEP at school for his ADHD diagnosis he got when he was three. We decided to try diet before meds. In August of 2014 we started the GAPS diet. There was slow improvement. Then December hit and we decided to allow the traditional chocolate advent calendars, hot chocolate, but we remained gluten free. That month all hell broke loose. My son started exhibiting severe motor tics, so much that we took him off dish duty for fear that he would break something. His verbal tics became more aggravated by being on the computer. In the end we isolated the problem to soy based ingredients. Unbeknownst to us, we had been soy free because of the GAPS diet for three months prior to December and as many know, introducing a sensitive food can have dramatic effects. He has been soy free now for a year. We are still on a low grain, gluten free diet and he does well on it, but soy is his nemesis. It seems to accumulate in his body. As soon as we notice tics then I’ll go searching ingredients and sure enough, we find soy. It’s in everything. Christy, this is a very helpful comment, and one that I’m sure will get readers thinking. Soy is a common problem food, but I don’t think we discuss it enough because dairy, grains, and additives etc get so much attention. How great that you were able to zero in on the key offender. No doubt it took a lot of attention, time, and trial and error on your part. That’s what it can take to solve the so-called “mystery” of these conditions! It’s a wonderful success story that will encourage others. Thank you. I know I have felt rather alone in this whole venture. I hope too that our story will be an encouragement. Soy was definitely not on our radar at first. I know soy may not be a trigger for most, but it’s worth eliminating to see. One thing I failed to mention is that while we were on GAPS, his tics became undetectable. It was so gradual that one day I realized that I couldn’t remember the last time I had noticed a tic. We are now on a palio’ish/gluten free/soy free diet and this past year, as long as he is off soy, the tics and OCD become unnoticeable to me. I say that because he has described tics that are internal, like ear muscles and such. He still struggles with impulse control and social anxiety/making and keeping friends, but he is doing well academically and can manage without medication. It’s been A LOT of work to change the way we eat, but so worth it. I am a single mom but his father is involved but isn’t on the same page. We have not tried medication but have been trying chelated magnesium and calcium along with a probiotic. His diet is another story. When he is at my house I cook with organic whole foods. It’s difficult to stop a 14-year-old from old favorites as well as following through at his other home. I was reading about some things that have helped other members here and would like to hear more. What is GAPS? Has anyone tried acupuncture? Chiropractic care? I am trying to learn more about which foods to stay away from and any supplements that have been known to help. Chamomile tea has been a great eve ritual and lavender. Thanks for any advice. I appreciate your taking the time to read this post. I’m so glad to hear that you are seeing changes for the better after trial and error! It gives me hope for my son. Consider P.A.N.D.A.S. as a diagnosis for these symptoms. I thought my son had pandas and gave abx. That was the worse thing that has happened. After a head injury and abx, he has had the worse tics possible where he is a different person. Ppl notice the tics because they are so obvious. Every four seconds. Antibiotics brought out tics. I should have known since he had abx when younger and had a cough tic after. He has a rash when younger during abx. As a teen he ended up showing signs of ocd and body tics including neck when on abx azithromycin. I didn’t make the connection. Consulted w a naturopath who suspected lyme because he had tics after abx. The probiotics she suggested bright out snort tics. I stopped those. The charcoal had some chemicals in then abs caused a snort tic. As soon as the charcoal stopped, the snort tic stopped. But the stomach chest tic continued w minimal neck tic. He had abx again at a higher dose and suddenly after the last dose, the wildest neck tic surfaces. Every second! There was a shoulder tic every few seconds too. His friends couldn’t understand what had happened to him he was normal looking and now wasn’t. Epsom salt bath is calming. Msg and “naturala’ flavourings are problems. Chlorine is an issue. I give blueberry smoothies trying to increase antioxidants. 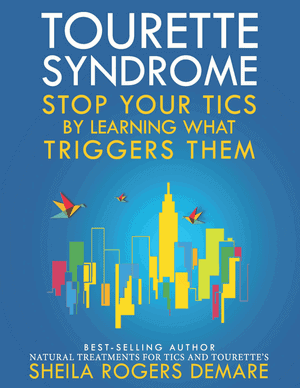 Hi – I have been looking for a place to write a success story with relieving Tourettes tics as our 9 year son was diagnosed with Tourettes just a month ago. It all started with anxiety through the years and random blinking that surfaced recently. The blinking turned into shoulder shrugging, jaw movements, eyebrows going up and down, head jerking back to the point where his neck hurt and his eyes rolling back. I spent HOURS looking up what to do. I was choking crying each night so worried about how he would be perceived at school. Afterall, he had no issues and had been Ok all these years, why now? How can I help him? It is such a helpless feeling. He was holding his head all day in case his head went jerking back to avoid the pain in his neck. This absolutely broke my heart and I could not believe he was having to deal with this. He’s only 9?? I want to share what we did. He is on a mild child anxiety medicine but we also just recently added guanfacine (1/2 mg a day) – his tics are gone. This med apparently is more for ADHD (of which my son does not have) but apparently the interaction with his current anxiety medicine, this works like a miracle for tics. He is 99% tic free. No more head jerking, no eye rolling, no more shoulders. I wanted to share this for anyone to be able to see this can be helped. I tried the magnesium…nothing happened (though I read numerous people found this helped tremendously.) I want to also say, medication was the last route in my mind when the anxiety started but we saw how much that helped too. I’ve learned you cannot judge unless you are in someone’s shoes. Well here I am and thrilled to share how my son is doing great (for now?) Hang in there parents and keep researching.